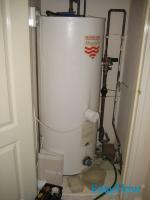 Heatrae Sadia is one of the most recognized names in the UK hot water heater industry. 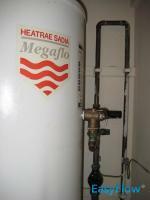 The company has been manufacturing water heaters for a long time, and their broad range of MegaFlo models ensure available options for a variety of different needs. The most recent addition to the MegaFlo family is the MegaFlo Eco, an unvented water heater designed to create mains pressure hot water at the taps while providing high rates of heat recovery and low environmental impact thanks to its highly efficient insulation. Call us if you need assistance with a MegaFlo fault or if your MegaFlo requires a service. 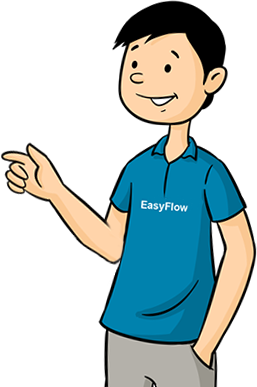 EasyFlow provide a MegaFlo unvented water heater repair service in Manchester, Liverpool, Leeds and London. The photos on this page show work being carried out on older MegaFlo cylinders. All MegaFlo models are manufactured with duplex stainless steel, other than the Eco, which utilises marine-grade stainless steel for additional protection against corrosion and higher strength cylinder construction. The Eco range also includes and air gap in the cylinder to eliminate the need for an expansion vessel. 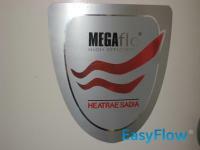 At EasyFlow, we provide repairs, maintenance and service for MegaFlo hot water heaters manufactured by Heatrae Sadia. We serve customers throughout Manchester, Liverpool, Leeds and London, and have created this page to provide important information regarding the more common MegaFlo faults and repair needs. While the MegaFlo series of hot water heaters is well-established throughout the UK, the heaters can and do suffer from a number of common faults. 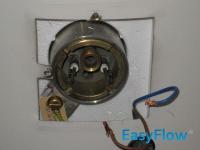 We have addressed some of the most frequently seen faults below. 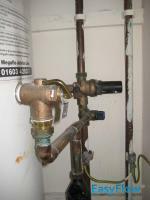 Cold Water Running through the Tundish: Generally, cold water flowing into the tundish is a sign that the cylinder has not been properly serviced and the air gap within the cylinder has been depleted. 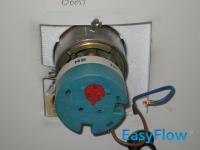 The cylinder must be recharged by a professional technician from EasyFlow to correct this fault. Water Discharge from Pressure Relief Valve: If water is continually running from the pressure relief valve, the most likely culprit is a damaged expansion valve seat. 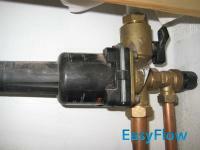 However, it is also possible that the pressure reducing valve has experienced a fault. No Hot Water Flow: It might be an activated thermal cut-off (due to overheating, short circuiting and other problems), or it could be incorrect programming of the controller, depending on the model in question. No Hot Water: If you’re experiencing cold water from the hot tap, it could be a problem with the strainer (clogged) or with the cold water combination valve. 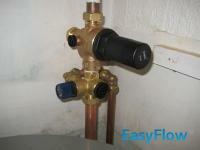 If the immersion heater fails, or if the thermostats that control the heater fail, no hot water will be produced. Depending on the exact MegaFlo model in question, there could be tween one and four immersion heaters fitted to the unit. It could also be a sign of an electric fault. Typical faults on a MegaFlo are: Cold water running through the tun dish – this is a sign that the cylinder has not been serviced and the air gap has depleted. 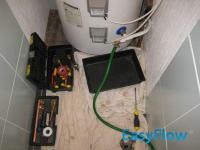 Lack of hot water – this fault could relate to either an electrical fault or an issue with an immersion heater. Low rates of water flow – could either be a fault with the pressure reduction valve or the fact that the filter in the pressure reduction valve has not been cleaned. Low Rates of Water Flow: If you are experiencing low water flow, but still have water from the hot tap, there are several potential causes. 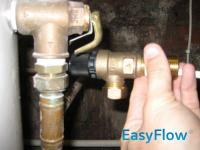 The unit’s strainer might be partially clogged, or there could be a problem with the mains. It could also mean that the air gap in the unit is partially discharged, or that the pressure reduction valve has experienced a fault. . Note that several MegaFlo models are no longer manufactured, including the MegaFlo Mark 1, 2 and 3. While Heatrae Sandia no longer produces these models, replacement parts remain available and EasyFlow maintains a stock of these on hand to serve our customers. It is also important to remember that all unvented hot water heaters require annual professional service to ensure operation, reliability and safety. 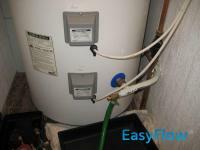 At EasyFlow, we offer repair service, annual maintenance and other services for MegaFlo hot water heaters. We serve customers throughout Manchester, Liverpool and the surrounding areas. We are a Country and Town Limited Service.